Langkawi is a lovely island, which is a destination for tourism and a duty free area in Malaysia. I can see why Australians in particular come to this SE Asian destination. My shore excursion today involves bats in caves and exploring a mangrove for eagles. After driving to the Kilim Karst Geoforest Park, we board small boats and zoom around the mangrove channels to see a fish farm (setup for tourists), the Langkawi Eagles (brown colour) and Sea Eagles (black and white) taking food in the channel, and exploring the bat caves. 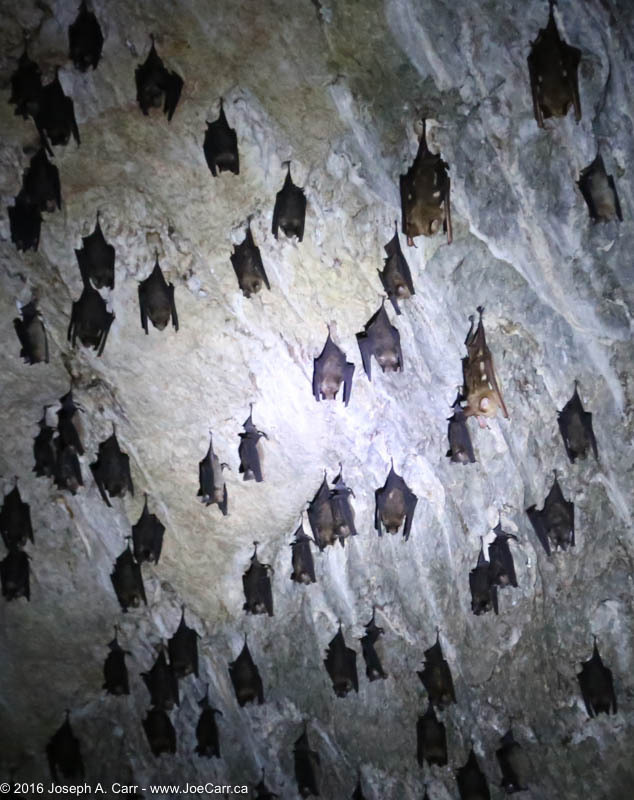 The little bats are asleep during the day, but they do a great job of keeping the bug population down. There are Long-tailed Macaque monkeys lurking around the entrances to the caves, where they try to steal tourists’ water bottles, since their only other source of water is to climb to the tops of trees for the fruit to be found up there. Other than getting a headache from the fumes of the outboard motors, I had a great day! This entry was posted in Malaysia and tagged bat, cave, eagle, mangrove, monkey, park, waterway. Bookmark the permalink.